Plot: Godfrey (Powell) is a forgotten man, one of many living in the city dump, looking for the prosperity promised ‘right around the next corner.” Through an encounter with a group of upper crust party goers, he is enlisted as the butler at the home of Alexander Bullock (Pallette), a sensible man overseeing a carefree and drunken collection of people, who happen to be his wife (Brady), daughters Cornelia (Patrick) & Irene (Lombard), & hanger on/protégé Carlo (Mischa Auer). Irene is the instigator of his hiring and immediately appoints him as her protégé, after developing a crush on him. Cornelia, however, harbors a grudge and will do anything to rid of Godfrey, determined to uncover his secret past. Godfrey, meanwhile is content to serve the Bullocks, submitting to their every whim and fancy, and there are many in the loony bin that is the Bullock household. Irene moons over Godfrey, trying to win his affections through a series of crying fits, fainting spells and all out tantrums, but nothing works on the implacable Godfrey. When an old friend of Godfrey’s attends a luncheon at the Bullocks, his secret is almost uncovered, but even Cornelia’s further snooping does nothing to change Godfrey’s positon. Finally, when he attempt to frame him for the theft of her pearls fails, Cornelia is at her wits end & takes the moping Irene with her on an extended trip to Europe. Upon their return, Godfrey has found the redemption that he has secretly sought and departs the Bullocks having saved them from ruin and recast himself back into society, along with as many forgotten men as he can. 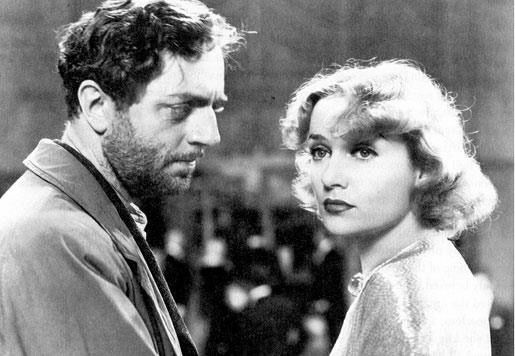 Thoughts: First off, no plot synopsis of My Man Godfrey could do justice to the madcap insanity that is this screwball comedy classic. Lombard’s Irene is a lunatic half-wit, not necessarily smarter than she appears, but certainly overwhelmingly lovable. Powell’s straight man & wisecracking Godfrey is the picture of control & rationality amongst the crazy Bullocks. 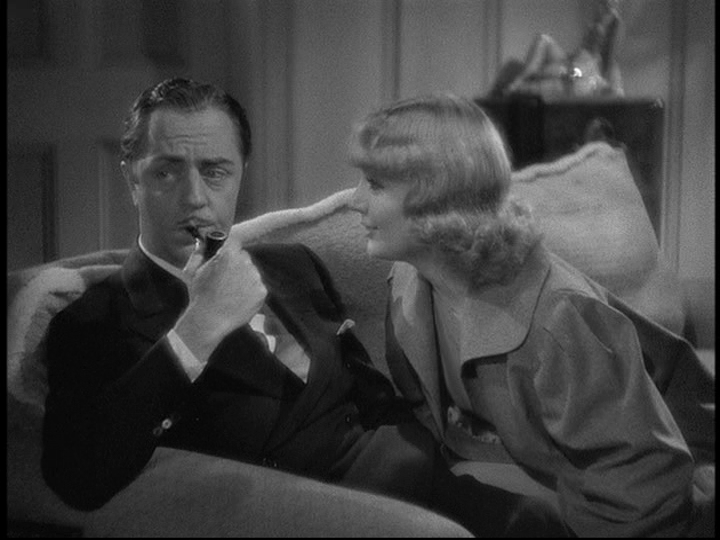 The fact that My Man Godfrey is generally thought to be one of the top 2 or 3 screwball comedies of all time is directly related to the performances of Lombard & Powell, but also the depth and richness of the supporting players. As James Harvey points out in Romantic Comedy in Hollywood: From Lubitsch to Sturges, Lombard’s Irene flips the normal screwball comedy joke that the woman is really “smarter, stronger & finally more independent than the hero” (p. 215). Her performance/character, then, has to attract both the audience & the hero in other more subtle ways, all while performing at an over the top & manic pace. That Lombard can pull off the trick, without so much as a momentary lapse is a testament to her skill as the preeminent screwball comedienne of the 1930’s. Her performance, while painted in broad strokes too, is rich with moments of brilliance. At once and always her face is a reflection of her mood, but never in a hammy or self-aware manner; furrowed brow when she’s serious or angry, eyebrows alight when surprised or happy, moonfaced when smitten by Godfrey/Powell. When she tells Godfrey that having him as a protégé makes her feel “all grown up” you truly believe her, if only because Lombard is that convincing and her face strongly reflects it. While obviously beautiful, Lombard’s gift as an actress was her ability to forgo glamor and give herself to the silliness of the part, in this case a bit of a nit wit, in other films, a dreamer trapped in a small town (Nothing Sacred, No Man of Her Own) & in still others a self-conscience overwrought actress (Twentieth Century). Powell, on the other hand, built his career on restraint, with just a bit of superiority & barbed wit thrown in for good measure. While he’ll always be remembered as Nick Charles from The Thin Man series, Powell’s effortless charm and silky smooth delivery made him a versatile leading man throughout the ‘30’s. Here, he is perfectly cast, able to flex his snide muscles around the whacky Bullock clan, while always appearing one step ahead and always a bit smarter than those around him. Even the daffy Mrs. Bullock nails it when she offhandedly comments that “Godfrey knows everything.” Godfrey bridges both worlds, the “forgotten men’ of the depression and the upper crusters who have been largely untouched by the ills of economy. He is wise enough to see how one has forgotten the other, but savy enough not to flaunt his station with words; think of the title character in Sullivan’s Travels, who spends most of his time talking about the experience of being poor, instead of truly living it. Godfrey takes the step off the cliff first, ending up in the city dump, before he starts to extoll the virtures of poverty. He charts an avenue for redemption not just for himself, but for his fellow forgotten men, even the Bullocks. Powell is perfectly cast and he brilliantly balances the film on his shoulders. 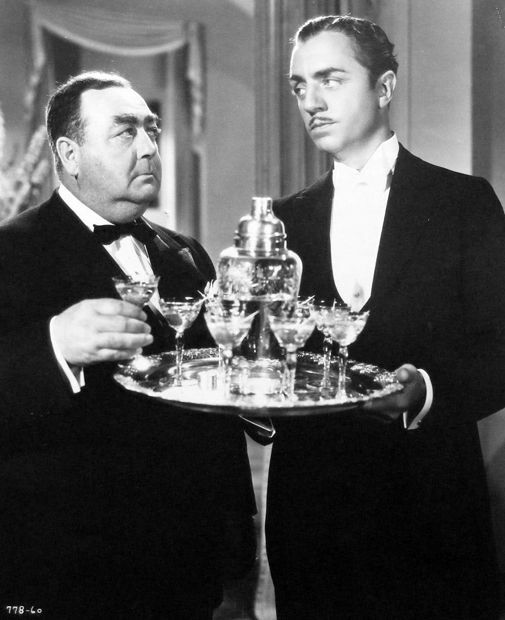 Whereas Lombard is the feather amongst the different size balls Godfrey/Powell juggles throughout My Man Godfrey, they balance each other to perfection. *Powell insisted that ex-wife Lombard star opposite him in My Man Godfrey, going so far as to insist that to make the movie she had to be his co-star. *Lombard had a scare on her left cheek, the result of a car accident while she was a teenager. Through makeup, lighting and camera angles she always worked to reduce & hide its appearance. *Carole Lombard didn’t add the ‘e’ to her first name until 1930, when production notes of one of movies (Safety in Numbers) mistakenly added it. She was born Jane Peters, but changed her name when she signed with Fox at age 16. 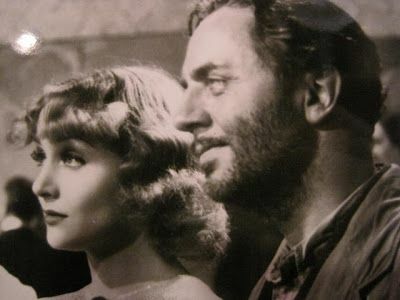 *After My Man Godfrey Lombard was the highest paid actress in Hollywood, making $150,000 per picture, with special concessions in her contract that included choosing her own cameraman and being consulted on directors & supporting cast. Her most important concession, however, was the stipulation that she could make one independent film per year, an option which allowed her to star in Nothing Sacred the following year. She also forced Paramount to waive the standard ‘moral turpitude’ clause in her contract, fearing her affair with Gable could offer a perfect out for the studio if they ever chose to exercise it. *Lombard put up the entirety of the $50,000 asking price for director Raoul Walsh’s (High Sierra, White Heat) ranch for her & Gable to live in when they finally got married. Gable was nearly broke after his divorce settlement with his second wife. Gable kept the property for the rest of his life. *Hollywood lore has it that Lombard chose to fly versus travel by train when returning from a war bond drive in Indiana in early 1942 because she didn’t trust Gable alone while working on a picture with Lana Turner. When the plane crashed into a mountain near Las Vegas killing everyone aboard, no one was more upset that Gable.